The Johns Hopkins School of Education offers an online Master of Science in Education program for current TNTP Fellows and recent alumni. This exciting program addresses the need for highly effective master-level teachers in low-income communities, while also recognizing the changing landscape of education. The program is available across the country using an online delivery model that is both highly interactive and rigorous. The goal of TNTP is to develop transformational teachers who will make significant academic gains with their students, meet the needs of the whole child and have a long-term impact in the communities they serve. The School of Education’s online platform enables TNTP Fellows nationwide to be connected with their SOE faculty and fellow students who provide the resources, coaching and support needed to flourish in their teaching assignments, while earning a master’s degree from a world-renowned research university. The Johns Hopkins School of Education has developed an innovative online, two-year program for teacher preparation that is aligned with TNTP’s programming and will help shape the next generation of educational leaders in our nation’s public schools. 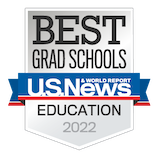 Earn a master’s degree from a world-renowned research university in a unique blended model that includes application based coursework combined with instructor support in a completely online environment. Learn in a comprehensive program format that not only complies with INTASC (Interstate Teacher Assessment and Support Consortium) standards but also aligns to TNTP’s Assessment of Classroom Effectiveness (ACE) and includes outcomes demonstrating transformational teaching and leadership. Waive the first 9 credits of the degree in recognition of successful completion of recognized TNTP Summer Institutes, including content focused on classroom management and culture, instructional planning and delivery, and literacy development. To be eligible to waive these nine credits, Fellows must have completed the TNTP Summer Institute within the past five years and provide documentation of satisfactory completion from their TNTP regional office. Build a global professional network with expert faculty and highly qualified colleagues. Students will earn a Master of Science (MS) in Education with a concentration in Educational Studies. The master’s program is 39 credits, 30 of which are earned credits over the two-year degree. To be eligible for the Master of Science in Education program, applicants must be current Fellows on track to passing ACE or alumni of TNTP that successfully passed the ACE assessment, and be teaching in a school. Fellows should begin the admissions process by submitting an online application and requesting official transcripts from the institution where your previous degree(s) was earned to be sent to the School of Education’s admissions office. TNTP applicants are waived from the $80 application fee. To access the online application and for step-by-step instructions on filling out and submitting the application for admission, please visit the Admission Application Instructions page. There are a number of financial benefits that have been created for TNTP Fellows who enroll in the JHU program. SOE is waiving the first nine credits of the program in recognition of the work Fellows engage in at the TNTP Summer Institute, thereby reducing the cost of the overall program from 39 credits to 30 credits. SOE offers deferred out-of-pocket payments for students earning AmeriCorps vouchers up to the amount of the AmeriCorps voucher for each school year. The 2018-19 tuition rate of $805 per credit is frozen for the duration of the two-year program plan. Waiver of application fee ($80) and registration fee ($150) per semester of the two-year program plan. *Subject to change Availability of Financial Aid and Payment Plans Students may apply for federal financial aid to support their educational costs. To learn more, visit Financial Aid. SOE offers flexible payment plans that allow you to pay the remaining tuition costs over time rather than all at once (semester, yearlong, program-long). Note: The MS degree offered by the Johns Hopkins School of Education does not award teacher certification or licensure. Rather, each respective TNTP region handles certification for its Fellows. For additional information regarding the Master of Science in Educational Studies or the Johns Hopkins School of Education’s partnership with TNTP, please reach out! We’re here to support you.